On Tuesday, 26th June, we had the pleasure of once again welcoming the Prison Me No Way team to Winifred Holtby Academy. Year 8 had been briefed on the day by tutors and were full of anticipation for the event! The day began with everyone gathering in the Theatre to meet the PMNW team. Strict instructions were given to pupils: demonstrating what it is like inside prison without a phone and with having to follow orders to the letter. We were then shown information on the use of mobile phones while driving. This was made all the more sobering with real life accounts from victims and families of those injured or killed through using a phone while driving. Once we were dismissed from the Theatre, each tutor group went to their first activity. 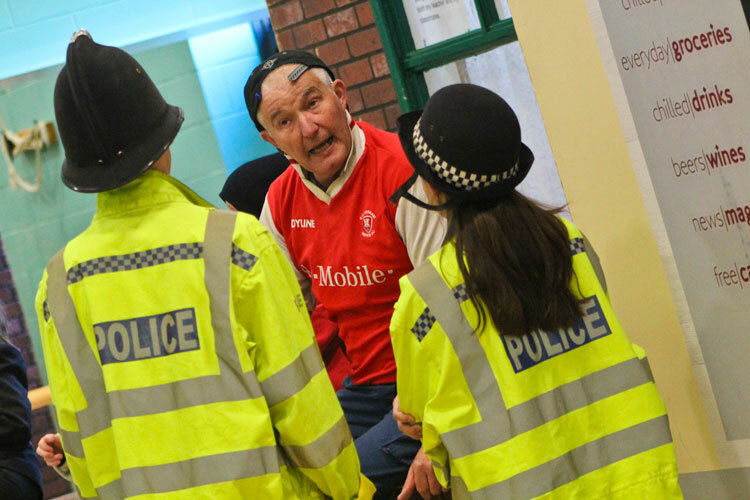 We had a whole host of different workshops from Victim Support to Fire and Rail Safety and from role playing anti-social behaviour and examining the consequences to learning what happens in a Magistrates' Court. Two of the most popular events were Life Sentence - with pupils learning about the perils of dangerous driving and the impacts of this on family and friends of victims, as well as on the emergency services; and Choices - where pupils learnt about what life inside prison is really like from four inmates who are all currently serving sentences for a range of crimes. Both of these events had a visible impact on several pupils who found the experiences 'moving' and spoke about how listening to these stories had really made them think about the consequences of crime. Pupils also got to experience what it is like to be locked inside a prison cell, in cramped conditions, often with a cell mate. They talked about the lack of privacy and how they would find this particularly difficult. The day culminated in a celebration of the day's events and the excellent participation of pupils who were selected from each tutor group. We had a thoroughly enjoyable, and informative, day and look forward to next year's Prison Me No Way event! Newer PostWe are Premier League!